While SP MPs protested police lathicharge on party leaders and workers in Prayagraj on Tuesday, the TMC displayed posters against the BJP government over the Rafale fighter jet deal. 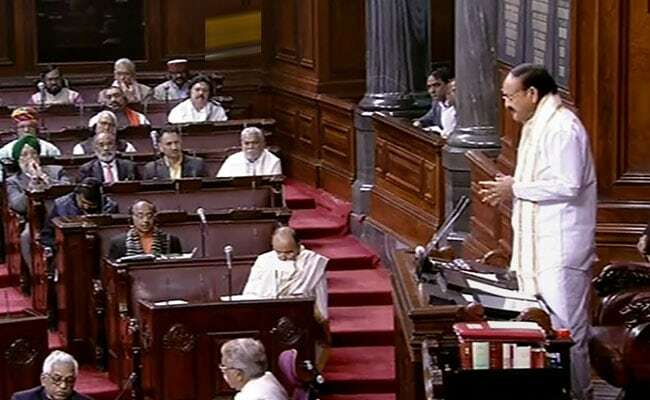 Rajya Sabha proceedings on Wednesday were adjourned till noon after opposition Samajwadi Party (SP) and Trinamool Congress (TMC) members created ruckus in the House over different issues. SP members alleged that the Uttar Pradesh Police lathicharged party MPs and workers protesting against party chief Akhilesh Yadav being stopped at Lucknow airport in a bid to prevent him from attending an event in Prayagraj.